How did the Übergossene Alm get its name, why did the people of Schwarzach react so sensitively to the mention of goats and what does the devil’s violinist have to do with the great disaster of August 1775 in Bischofshofen? 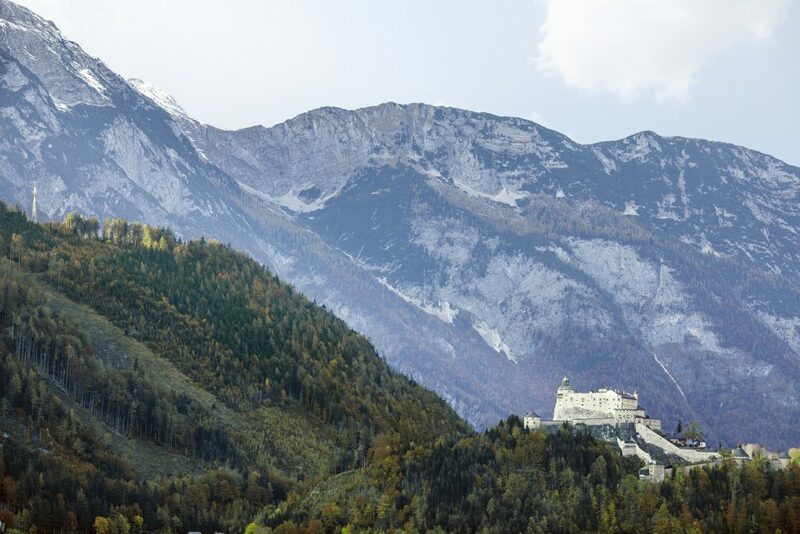 Legends have shaped people and life in the Salzburger Land for many centuries, making the past tangible and colourful. 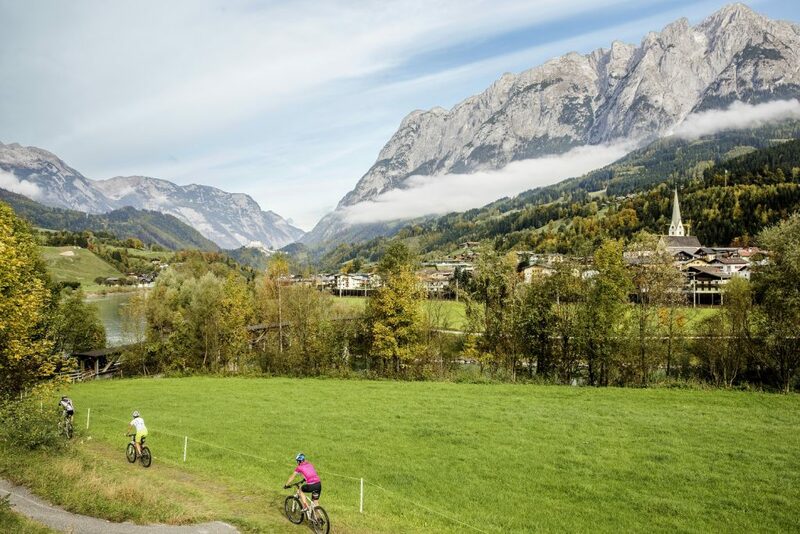 It’s all the more exciting that you can now experience many of these stories from the saddle of your bike while getting to know one of the most beautiful and popular sections of the Tauern Cycle Trail. 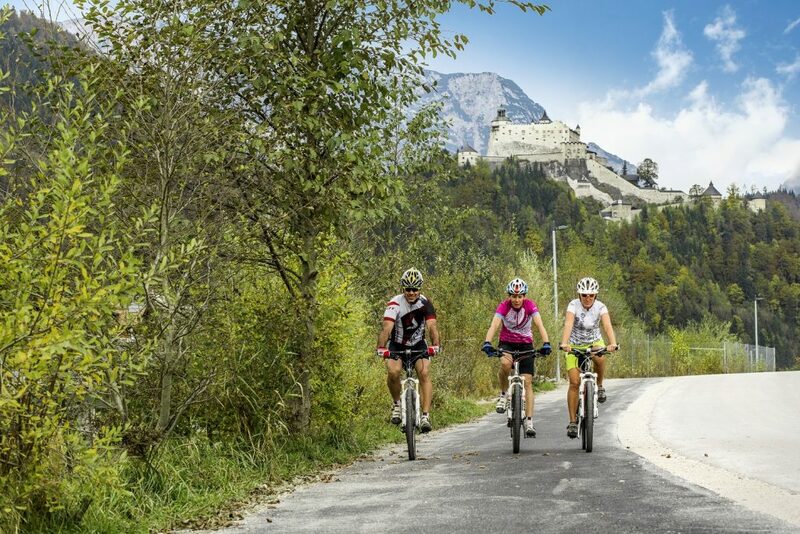 Curious cyclists can expect many such stories and a number of exciting sights on the Legendary Tauern Cycle Trail between Schwarzach and Werfen via St. Johann-Alpendorf, Bischofshofen and Pfarrwerfen. Maybe the dairymaids really did overdo it? At the top of the Hochkönig, with its wealth and excessive display. Paths paved with cheese, cows with golden horns, milk baths and wine drunk in abundance? Things wouldn’t have been so bad if they hadn’t arrogantly denied the exhausted wanderer shelter and sent him back into the wilderness laughing loudly. But who could have guessed that this act of rejection would be the straw that broke the camel’s back and that divine judgement would bring a blizzard over the Alps to bury the once green pastures under a thick layer of snow and ice forever. And with them the reckless maids. This is just one of the many legends from the region: a total of five different tales can be discovered in the five towns along the legendary Tauern Cycle Route. Some facts about the Legendary Tauern Cycle Path: it is 25 km long, starts by the railway station in Schwarzach and finishes by the railway station in Werfen. About half of the cycle trail along the River Salzach can be used on both banks of the river, so that a 50 km long, round trip with more variety is also possible.